My twins have been sprouting like weeds the last few months! 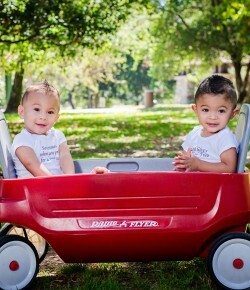 It’s still hard to fathom my tiny 3 pound preemies are now almost 15 months-old, weighing 28 (Noah) and 25 (Nikoh) pounds. Nothing short of miraculous to watch them play together…Today as I remember them sleeping in their NICU incubators, it almost feels like another lifetime. 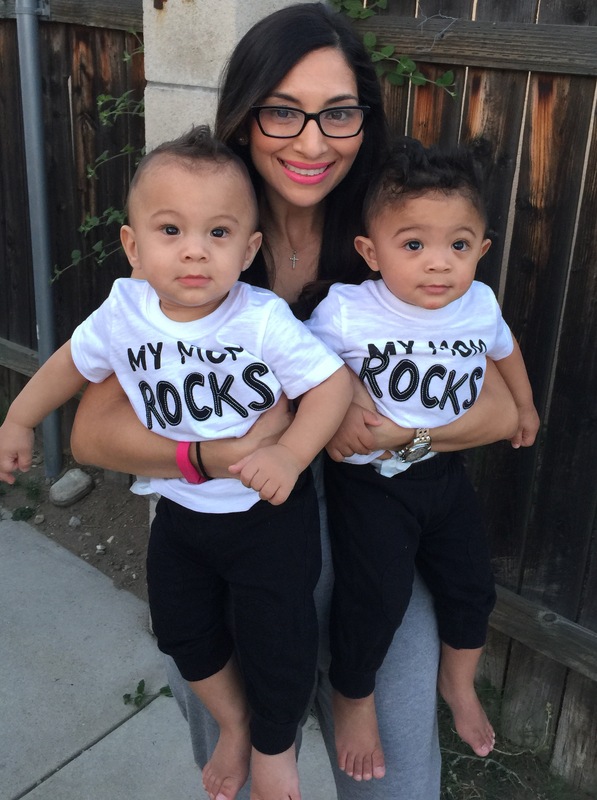 I originally intended to populate this blog much more frequently, but being a mother to my twins has proven to be incredibly demanding ever since they started crawling, and now walking and climbing on absolutely everything! (And NO baby proofing doesn’t really help when you have one toddler going left and the other toddler going right.) 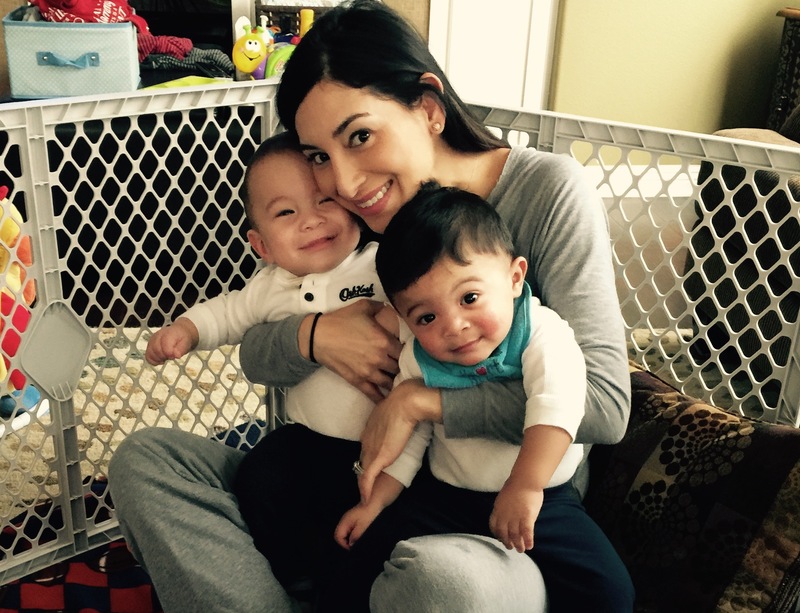 I always find myself thinking and talking about how difficult twin motherhood is, not because I want people to say, “Oh poor you,”….but more because I am still amazed at how mothers do it, and how they did it decades before me with much less resources. Twin motherhood is quite the beautiful challenge and you can never fully comprehend it unless you have carried two babies in your womb simultaneously and taken care of them everyday. There are moments where it feels overwhelming and almost impossible, but there are also plenty of times where it brings more love and happiness I ever could have imagined. Tears normally accompany both ends of those two spectrums. Every aspect of twin motherhood has indeed had its immense challenges, and certainly its highs and lows, but the part that literally tugs at my core is the obvious fact that there is ALWAYS two of them and one of me. I have two babies, only 1 minute different in age, who often need and want me at the exact same time. It tears my heart apart to have to pick between the two of them when deciding who to tend to first. Believe it or not, it happens several times a day. 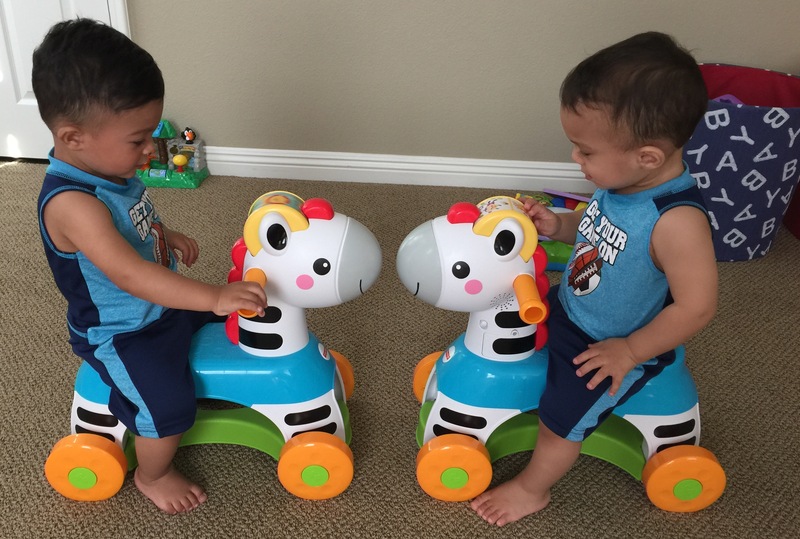 Many parents tell me what a blessing it is that my twins are each other’s playmates. Yes, it’s so wonderful that they love to make each other laugh and they do entertain each other all day. But what happens when they are playing, chuckling, having a great time and all of a sudden they bump their heads together? This happened last week. 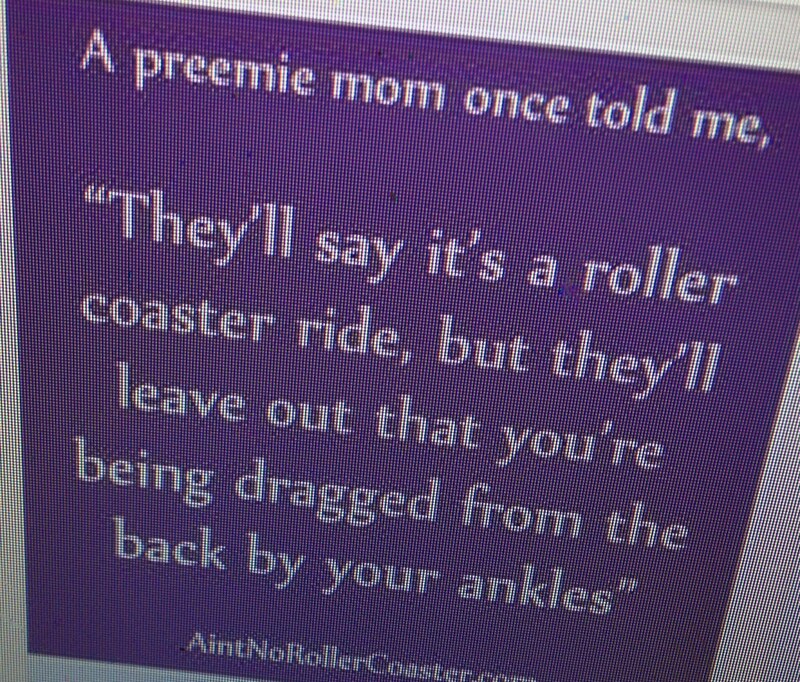 There I was with my two babies, crying “mommmm! mommmmm!” I ran over to them, dropped to my knees and scooped them both into my arms so they both felt comforted. But I couldn’t pick them up simultaneously, and there was no way to give them the individual TLC I know they needed. It broke my heart to see the tears rolling down their little cheeks, boogies coming from their little noses, and I had to divvy up my hands to wipe the tears and clean the noses with one hand each. And then there are the times when they are sick, when only my arms can comfort them. The last two weeks Nikoh was very sick with bronchitis. His throat was so swollen and red he didn’t eat or drink much. He was sluggish and not nearly his playful self. He wanted to lay on my chest, and in my arms for the better part of one week. But then there was Noah, who didn’t catch bronchitis, but did have a high fever for a few days and some congestion and would you believe he just wanted to be in mommy’s arms too? Aside from being in the NICU with both Noah and Nikoh, these last few weeks have been the most emotionally and physically draining for me. I literally had to rotate babies in and out of my arms for several days straight so I can give them an equal amount of love, comfort and attention. It was so hard to do. I would be holding Nikoh trying to soothe him, and never really got to give him all of my attention because I was looking over at Noah who would often be sitting on the floor, leaning on my legs and looking up at me with his red and swollen little eyes. After 30 minutes of holding Nikoh, I would switch and it would be Noah’s “turn.” Imagine doing that over and over. It was like neither one of them were fully comforted because once they started to feel secure and cozy with me, I had to put them down and pick up their twin brother. But it’s not always seeing them cry that makes me sad, sometimes it’s seeing them happy and wanting me so much. At least once a day we watch one of their favorite cartoons, The Mickey Mouse Clubhouse, I know all of you parents can relate to how magical this show really is! The second they hear the theme song, Noah and Nikoh will stop whatever it is they are doing and instantly turn to look at me and once we’ve made eye contact they start dancing, bouncing their little legs up and down. They both run up to me as I am dancing along with them and start reaching for me to pick them up. How do I decide who gets picked up and dances with mommy, and who stays dancing by himself? As a twin mom I have learned when I can’t get to them at the same time, they have to take turns. So today for example I picked up Noah and danced with him in my arms, while I dropped my other arm and grabbed Nikoh’s hand so he too can feel like he’s dancing with mommy. This might not sound like a huge dilemma to some, but trust me when you are a mom to twins it is heartbreaking not being able to give them the attention they want, need and deserve right when they ask for it. I imagine parents who have more than one child also have to deal with these scenarios from time to time, but I can’t be certain it’s as intense as having two children the exact same age needing you at the exact same time and likely for the exact same reason. This is just one of the things about twin motherhood I never even thought about during my pregnancy, because I really had no idea what to expect. And despite my research, there was no book out there teaching me how to be “OK” with dividing my heart and attention between my two, precious boys, every second of everyday. All I can hope and pray for is that the times I do give them both individual and “twin” love and attention, they feel comforted by me and loved enough to feel like they were born to the best mama in the world. 10 Days of Twin Separation.. The majority of premature twins develop at different times, making the transition from the NICU stay to their home an emotionally jarring experience for mommy and daddy. As I sit here and write about our experience last year with our twins, Noah and Nikoh, it’s still surreal to relive all of the emotions attached to having our newborn twins separated for 10 days. As new parents to preemie twins, we learned a lot while parenting in the NICU. Everyday was a new obstacle. 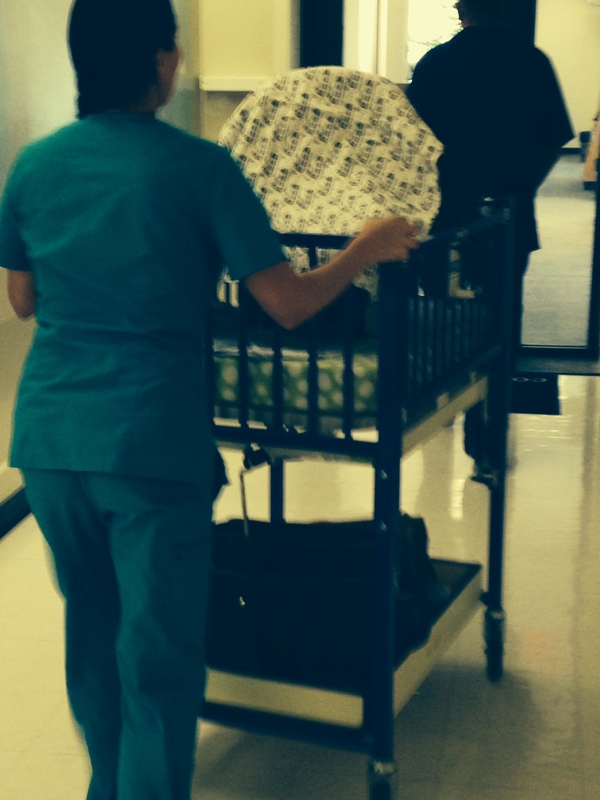 Our babies’ discharge days were no different. When it was Noah’s turn to “graduate” from the NICU and go home, the neonatologist and nurses told me I should stay home and give him just about all of my devotion, in order to make sure he continued to thrive (Read more about Noah’s discharge from the NICU in my previous post.) In my mind and heart I thought to myself, “Are you serious? How will I stay away from Nikoh?” Noah was barely 4 pounds. 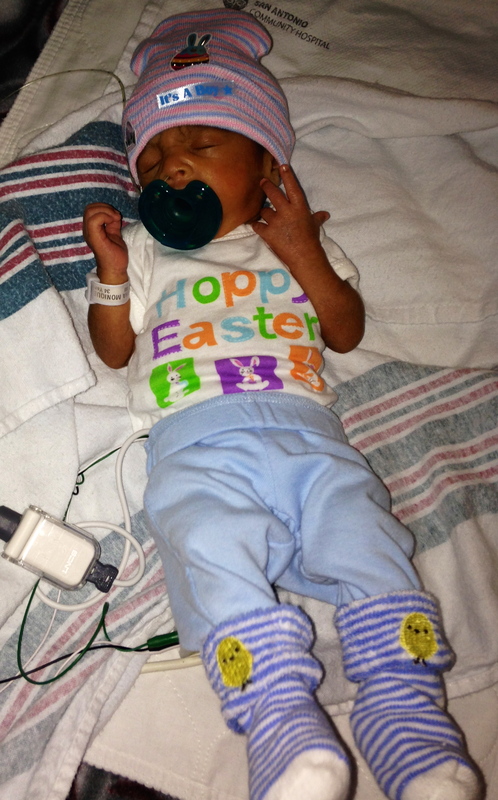 He was so tiny, so fragile and I was PETRIFIED every time I had to change his diaper, change his clothes, feed him, etc. I handled him with the utmost caution. 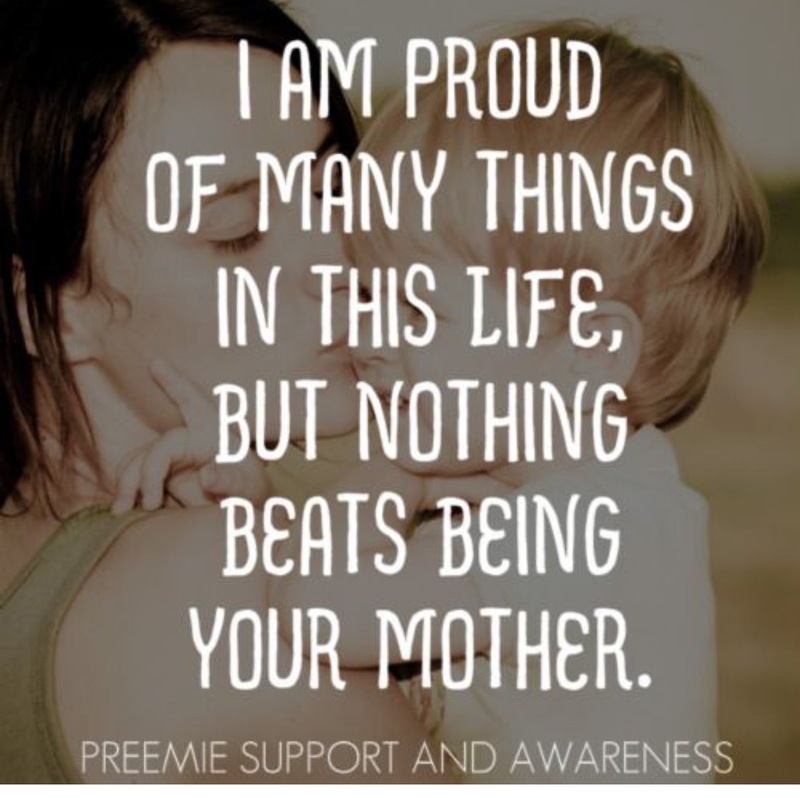 Yes I had been doing all of this since he was born, but he had been a NICU preemie so there were nurses who helped me handle him in the hospital so I felt more at ease. At home we didn’t have the comfort of the NICU monitors telling us Noah was breathing OK, eating OK, sleeping OK, etc. So at home our stress levels were at an all-time high. But although I was occupied with Noah, my mind and heart were constantly thinking about Nikoh, who was still battling it out in the NICU…predominately by himself. We still didn’t have an exact date as to when he would go home, so being away from him made the waiting game SO much more intense than when Noah and Nikoh were side-by-side in the NICU. 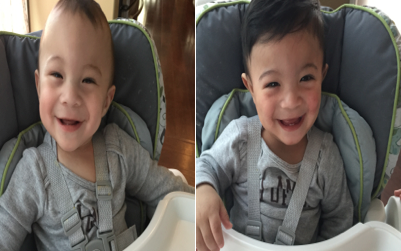 Nikoh was “Baby B” – born second and although he weighed a few more ounces than Noah when they were born, he was always a little weaker and less developed than Noah. Since he was born I often refer to Nikoh as “the dark horse.” Because although he would sometimes fall behind in his progress, there were days where he would come out of nowhere and essentially “catch up.” Nikoh had to stay in the NICU those 10 extra days because he needed more time to reach his NICU milestones before he could come home. One of his biggest obstacles was learning to tolerate his 24 hour feedings. Essentially he had to feed for 24 hours, and his body had to accept the amount of ounces the nurses set for him every two hours. Sometimes he would lack the energy to complete his feedings, sometimes he would fall asleep, and sometimes the breast milk wouldn’t digest properly in his tiny stomach…so it took him awhile to be able to achieve the 24 hour completion of feedings. He also needed a blood transfusion for an infection he developed in the NICU which also set him back a couple of days. It was frustrating to see him take one step forward, and two steps back. He was a lone warrior during those 10 days, and he made me, his daddy and his twin brother Noah SUPER proud. I would call to check on Nikoh several times a day, asked the nurses to tell him his mommy loved and missed him. I also got a detailed report about Nikoh’s progress from my husband who visited him every night after work for those 10 days. I was only able to visit him a handful of times. I left Noah either with my mom, or my sister, a handful of times while I visited Nikoh for a few hours, and on Easter we decided we had to spend their first holiday with both of them. So my parents spent Easter at our house with Noah, and gave my husband and I the chance to spend half of the day in the NICU with Nikoh. Being their first actual holiday, in true twin style, we dressed them exactly the same and made sure to take their Easter picture. In the NICU my husband and I spent Easter kangarooing with Nikoh, although I held him most of the time since I hadn’t seen him very much. We fed him, changed him, and did all of the things new parents typically get to in the comfort of their homes on their baby’s first holiday. When we got home, we spent the rest of the night taking care of, cuddling and loving Noah. 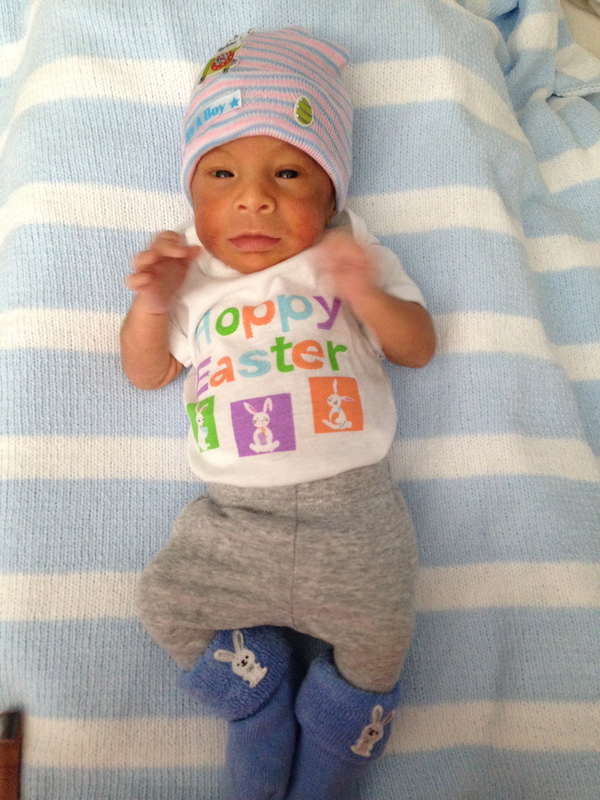 Although we were thankful to be able to spend time with both of our babies on Easter, it was heartbreaking to leave Nikoh in the hospital that night. Those 10 days felt like an eternity. But we made it and most importantly, Nikoh made it through like a little warrior. In all honesty it’s the biggest emotional roller coaster I had ever been on..and there is nothing you can do, or anyone can say, to prepare you for all of the emotions, all of the highs and lows, that come with being a NICU parent. It’s terrifying and beautiful at all the same time. 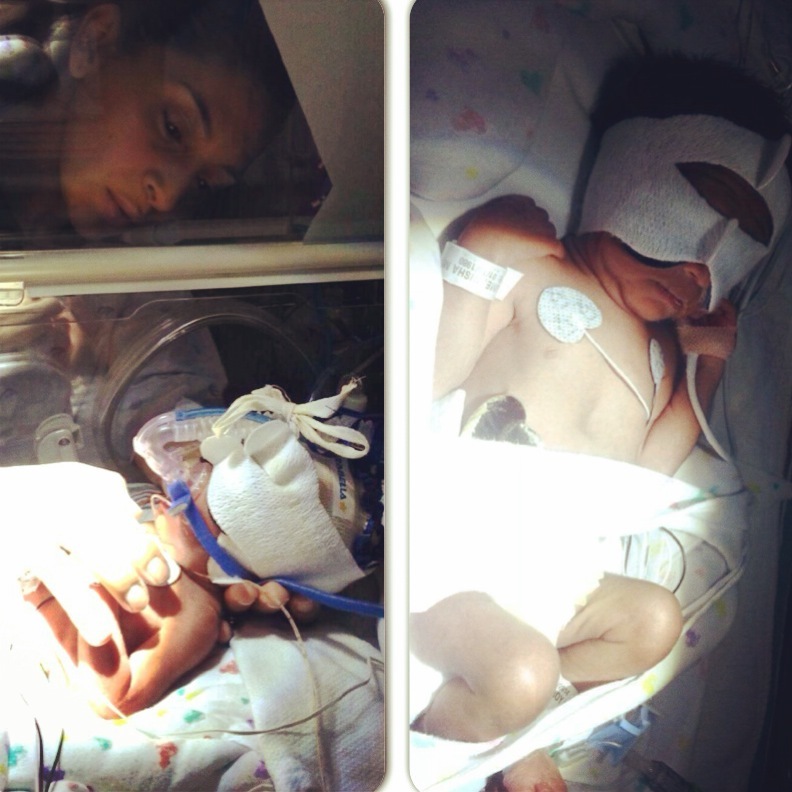 Nikoh’s last moments in the NICU felt less emotional to me than Noah’s final day there. I still cried, but all of my tears were out of happiness. 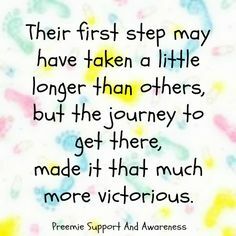 I was ECSTATIC to walk out of the NICU knowing my babies NEVER had to spend one more night away from me and their daddy. But on Noah’s last day I cried so much out of sadness because we had to leave Nikoh there, and so when it was finally his turn to go home ALL of the tears were out of sheer joy! 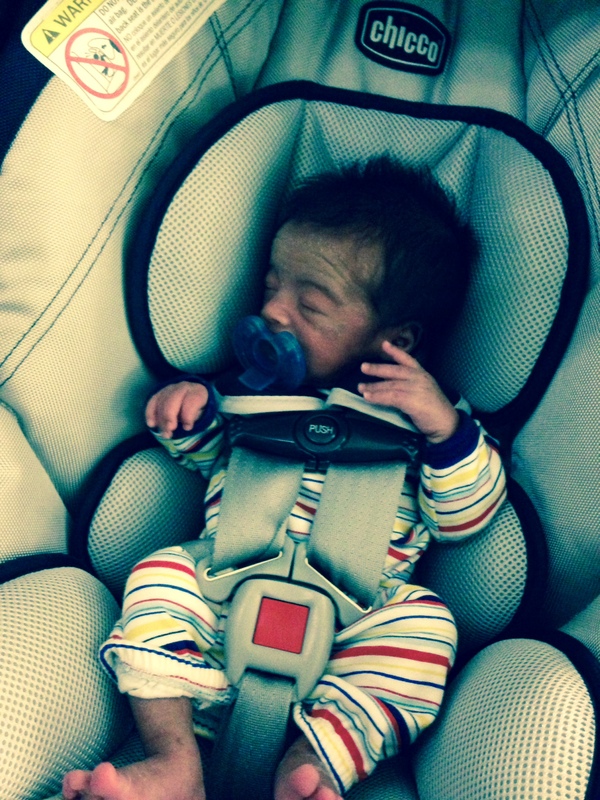 Nikoh had been moved out of the NICU into an “overflow” NICU nursery a few days before he was discharged. Since he was close to graduation and the NICU was filling up fast with new preemies, his nurses felt he was strong enough to have less observation. So although he was still monitored by NICU nurses and doctors, when he was discharged he wasn’t in the actual NICU. And because of that, he didn’t have the type of emotional “send-off” that Noah had. The nurses didn’t come say bye to him (except for the two that had been monitoring him in the overflow nursery), and we didn’t have any family waiting in the lobby to meet him. But it was still the best day of our life, as was Noah’s discharge day. 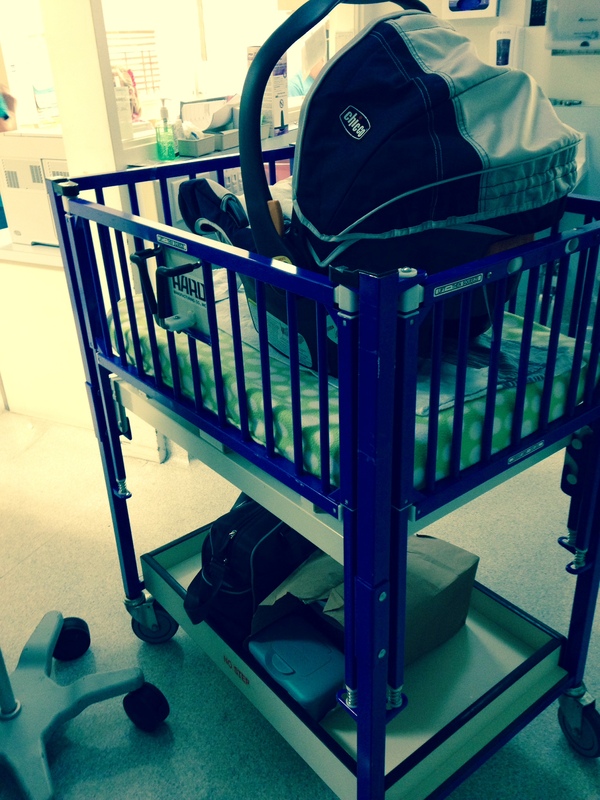 As the nurse wheeled him to the car, I walked alongside his crib and stared at him in amazement. He had gone through so much, and while we were by his side for most of it, a lot of his work in the NICU was done on his own. Tears streamed down my cheeks as I approached the hospital’s exit. We had literally lived there since March 26, 2014 and now it was time to go home and not look back. 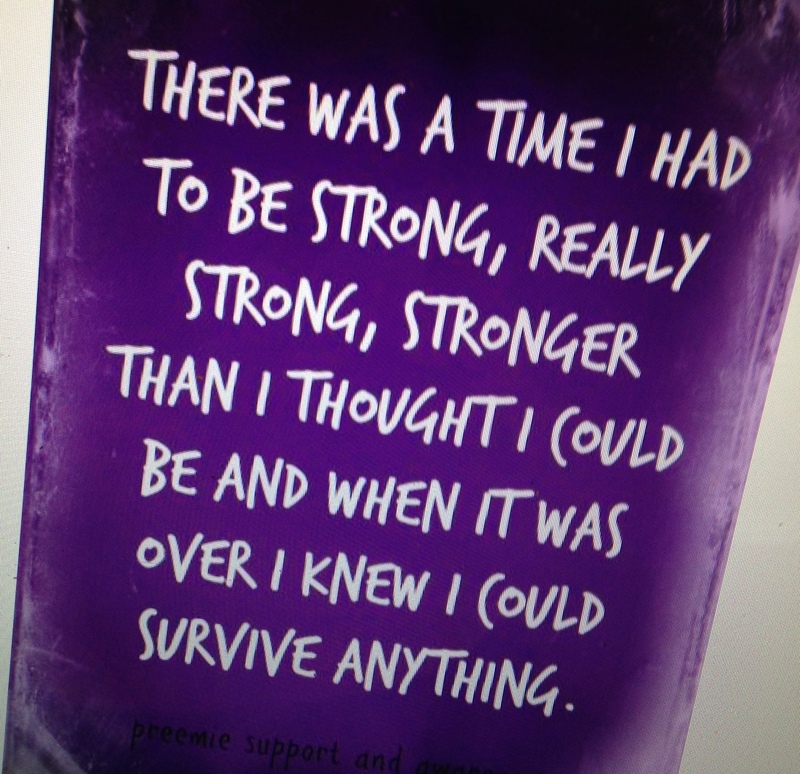 When I found out I was pregnant, I NEVER even though about premature birth and I knew very little about it. It’s incredible how something you never think about can end up having such a tremendous impact on your life. Although my babies are now home and thriving at 10 months old – 8 months adjusted age – they will ALWAYS be premature twins and likely always have to work a little bit harder at reaching developmental milestones. And just like in the NICU my husband and I will be there every moment of their life to help them achieve every dream and every feat, big and small.